Inventor Jerry Laidman with his circa 1978 LED lighting system. Super Vision International Inc, the Florida-based manufacturer of fibre optic and LED lighting, has announced that it has acquired the LED technology prior art portfolio of inventor Jerry Laidman. The Laidman technology includes Laidman‘s pioneering design and production processes in 1978 related to his Saturn I – IV LED lighting systems capable of generating multiple variable coloured lighting effects using pulse width modulation to control intensity. These systems were the first known to be designed, manufactured and sold commercially incorporating multiple LEDs to generate colour changing light in lighting fixtures worldwide. Laidman was founder and president of The Sound Chamber, one of the premier nightclub lighting designers and manufacturers in the ’70s and ’80s. The Sound Chamber sold and rented the Saturn LED lighting fixtures to several nightclub venues including the Baby-O nightclub in Acapulco, Mexico and The City nightclub in Boston. The Saturn lighting system was also exhibited at the Billboard Disco show in 1980. 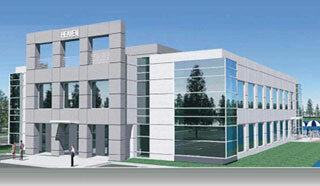 Laidman is now associated with LED Inc of Henderson, Nevada.